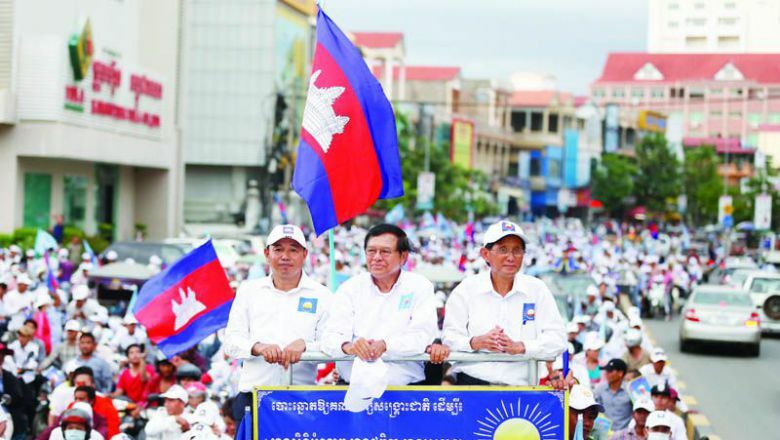 Former opposition leader Kem Sokha leads a crowd of thousands at an election rally in June last year. According to the Democracy Index 2017, Cambodia slid into full-fledged authoritarianism after Sokha’s CNRP was dissolved last year. The state of democracy in Cambodia has declined to the point where it is now led by an outright “authoritarian” regime, according to the latest Democracy Index from the Economist Intelligence Unit.